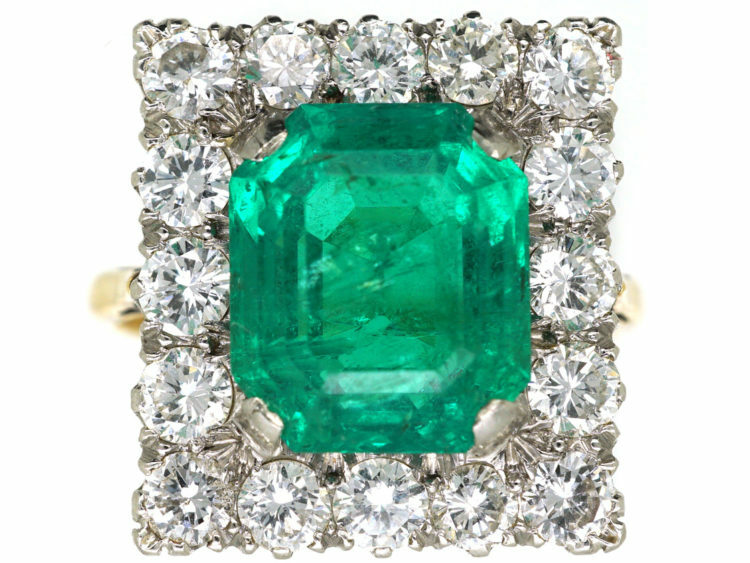 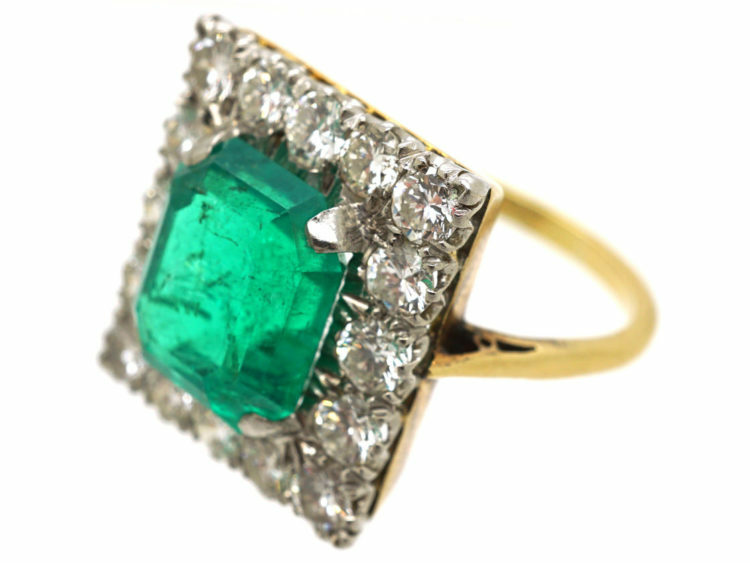 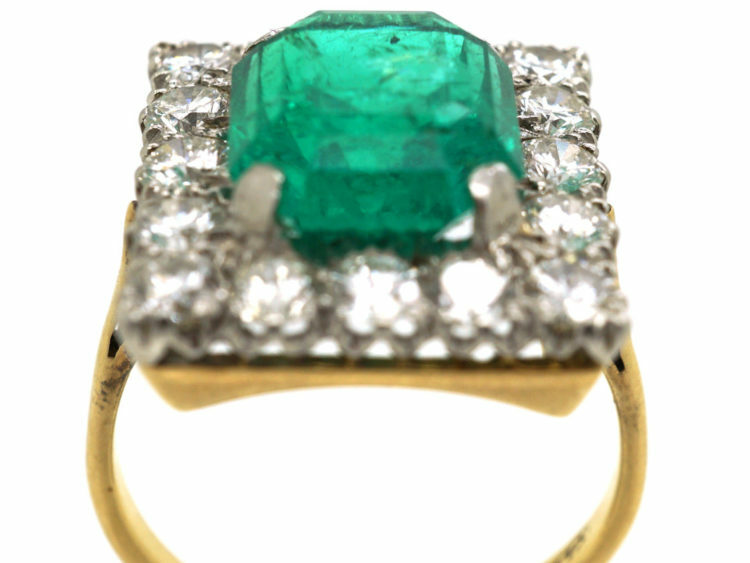 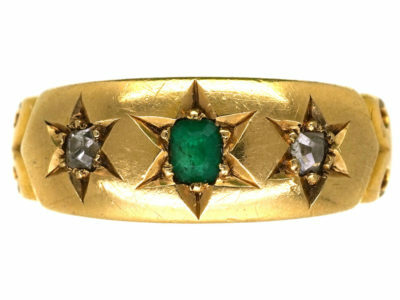 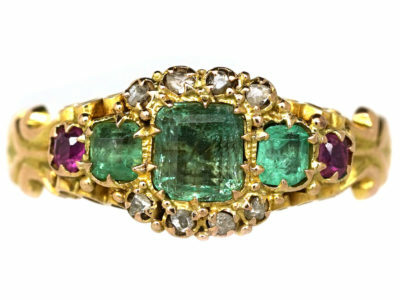 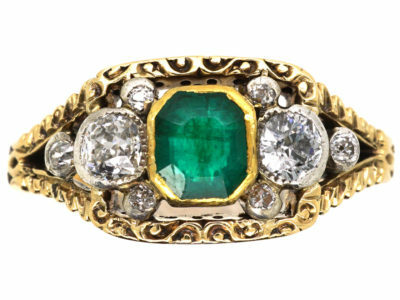 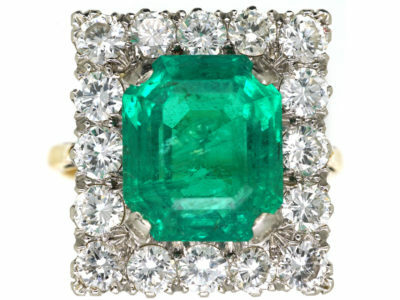 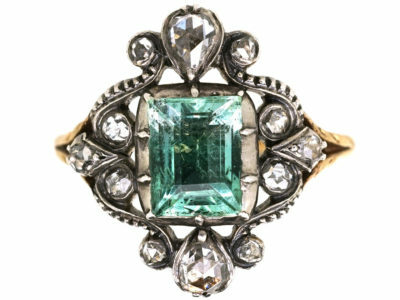 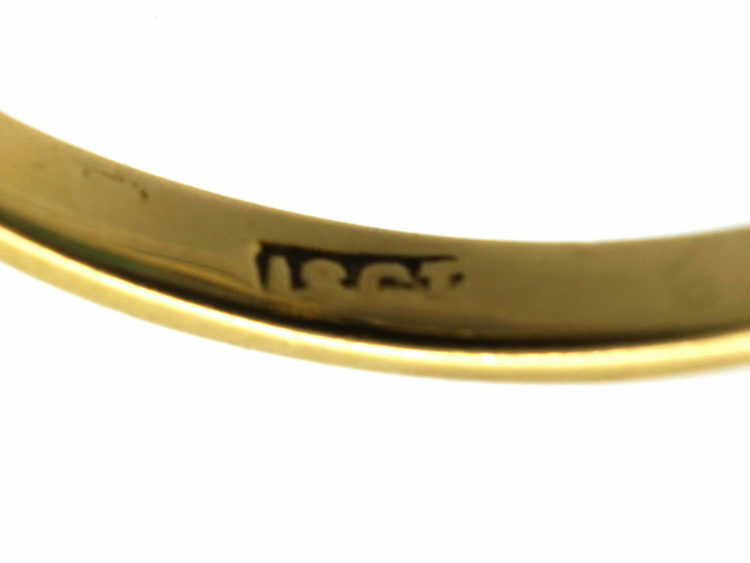 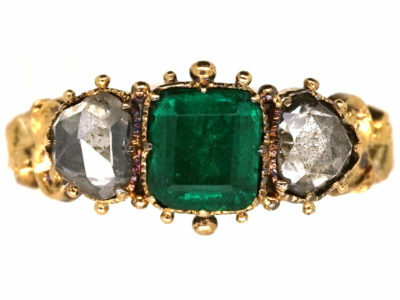 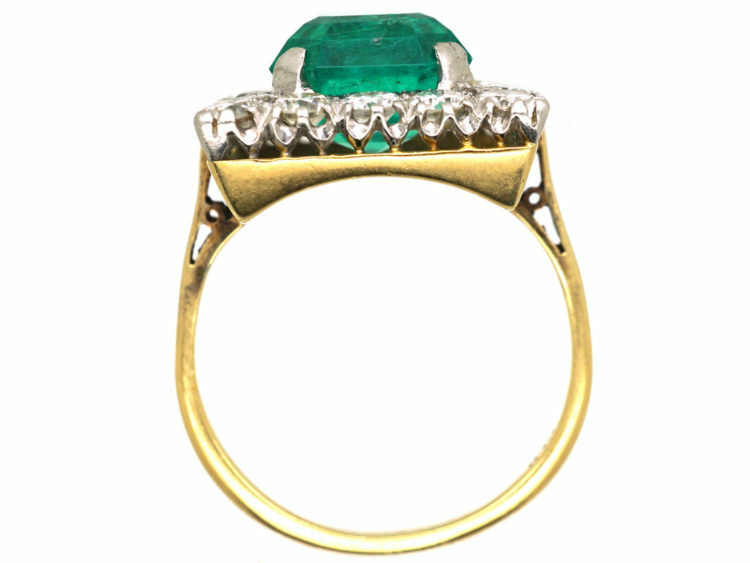 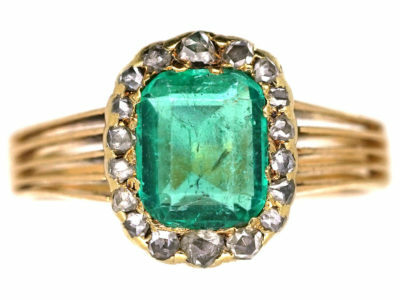 A very large and striking 18ct gold ring.It has been set with a large rectangular emerald. 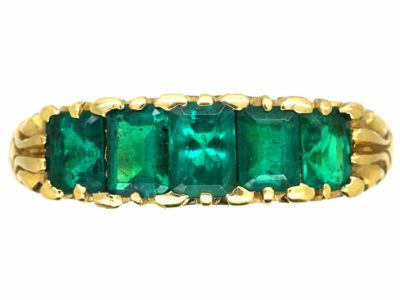 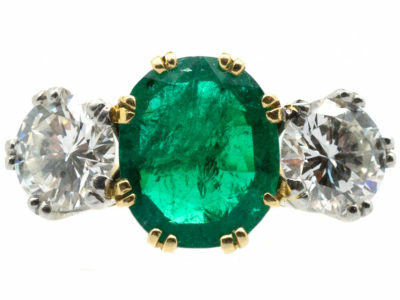 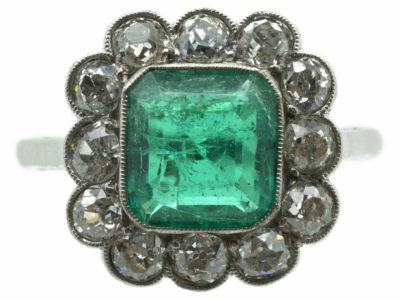 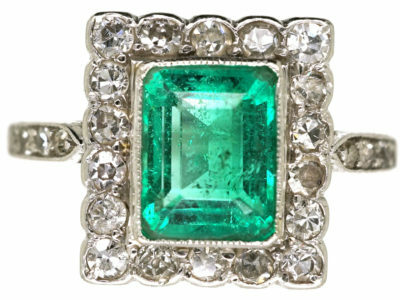 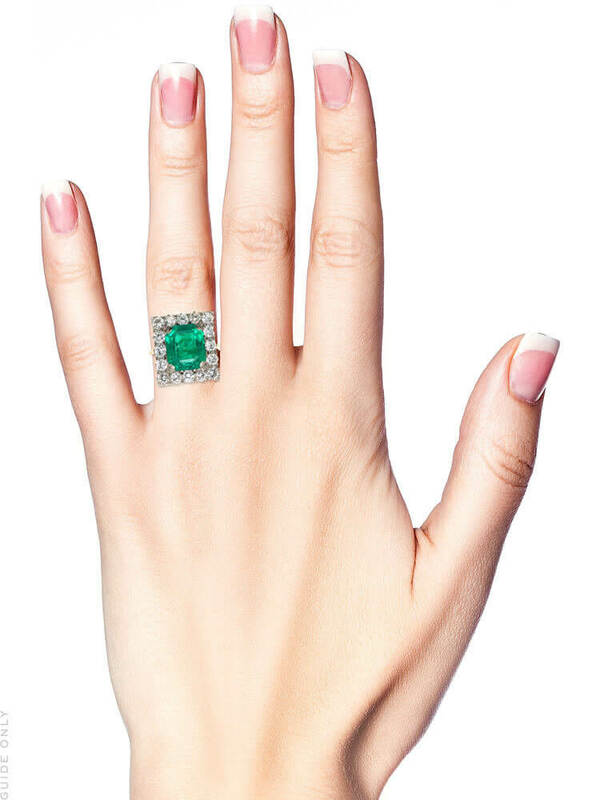 Around the emerald are sixteen brilliant cut diamonds. 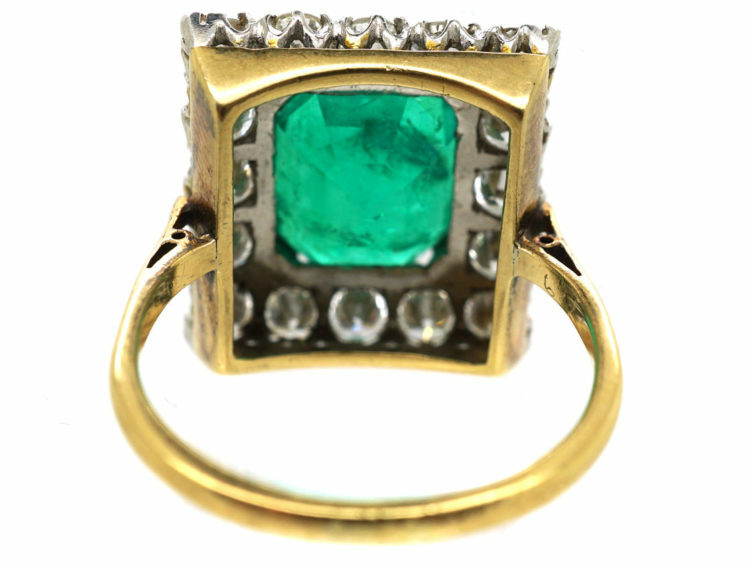 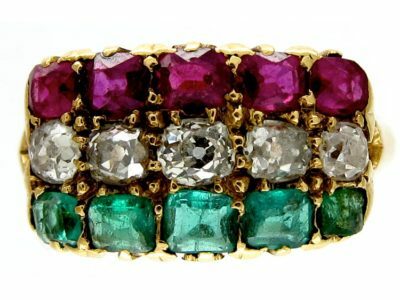 It is a stunning ring and looks amazing when worn.